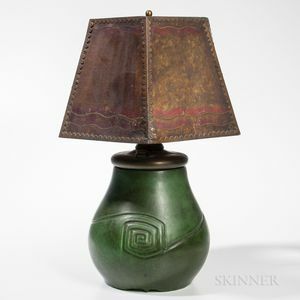 Hampshire Pottery Table Lamp with Mica Shade, Keene, New Hampshire, early 20th century, marked on bottom, ht. 21 1/2, shade wd. 14 in. Shade needs cleaning and has some finish loss.